The Review publishes original papers covering a large array of topics in Law, general theory of Law and multidisciplinary studies i.e. ethic issue, legal aspect of technology etc. The Review aims to provide also a forum which facilitates the development of the legal aspects – especially in any field of private law is welcomed - of the scientific research and innovation, at European and International levels. Particular attention will be paid on the rights, obligations and the legal relationships arising from the research and innovation activities, as well as on the contracts to carry out the scientific researches and to exploit the results either in academic, market contexts and human rights. The Review will study the legal discipline of the European and National policies and of the legal instruments to implement them, especially the funding programmes and Human rights. The Review will study the legal discipline of the European and National policies and of the legal instruments to implement them, especially the funding programmes and Human rights. admin:Civitanova Marche, 01 july 2016 - Unioni civili e convivenze familiari, convegno organizzato da Osservatorio nazionale sul diritto di famiglia e Ordine degli avvocati di Macerata. LICET EOS EXHEREDARE, QUOD ET OCCIDERE LICEBAT. In the final part of D. 28.2.11 the jurist Paul uses the expression licebat, referring to the faculty of the pater familias to kill his filius, to suggest that it was no longer allowed in his time. In this regard the scholars have reached different conclusions, but the use of this expression by Paul appears appropriate if related with the discipline that provides the referral to the imperial authority of filius whose pater familias wants to submit to capital punishment. CONCETTO DI STATUS NEL PENSIERO GIURIDICO. The paper examines the history of the concept of personal status in the Roman medieval and modern ages. The community vision of status, which was abandoned in the French Revolution returns in the modern age within the European civil law doctrine, with reference to new groups emerging in the social and economic field: this is an ideological operation, which aims to the protection of the ‘weak subject’, but the term ‘status’ has lost its traditional implications. STATUS DE CIUDADANO Y LIBRE CIRCULACIÓN DE PERSONAS. The paper aims to analyze the right of the free circulation related to the third countries citizens resident in one of Member States. In this filed, according to article 20 TFUE, EU Court of Justice realized an analysis to strengthen the EU citizens guarantees regards the EU Institutions and the Member States. Mainly attention will be posted on the parental relationships between the family members in the light of Directive 2004/38/EC. To apply the Directive above mentioned according to the right of the free circulation, for EU Courts of Justice interpretation, the primary interest to take into consideration shall be the child interest also if borne from third countries citizens. During the last few years, Belgium has demonstrated an ongoing concern for equal access of homosexual couples to parenthood. As far as lesbian couples are concerned, equality seems now to be achieved. The 2007 law on medically assisted reproduction allows fertility centers to define their own policies as to the access to artificial insemination and in vitro fertilization and lesbian partners may easily find a center agreeing to perform these techniques in view of realizing their parental project. When it comes to parenthood, the Belgium legislature recently allowed to establish a legal tie between the non-biological mother and the child directly by presumption (when the lesbian couple is married) or by recognition or judicial establishment (for unmarried couples). Things remain different for gay couples, in the absence of any legal regulation of surrogacy. Nevertheless, since surrogacy is not forbidden, at least two Belgian fertility centers accept to perform surrogacy for gay couples. Moreover, Belgian courts now generally accept to grant applications tending to establish parenthood through adoption. This contribution suggests that, for the sake of equality and coherence, the legislature should clearly affirm the principle that contractual commitment is the fundamental cornerstone of legal parenthood in the ART context for heterosexual couples as well as for (all) homosexual couples and for insemination and in vitro fertilization as well as for surrogacy. STATUS DI CONCEPITO E DIRITTO A NON NASCERE SE NON SANO. 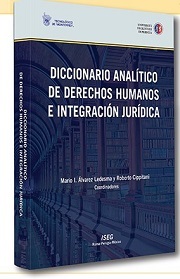 The paper is focused on the investigation on the jurisprudential evolution about the compensatory remedy in favour of the unborn child. This is one of the most fascinating quaestiones iuris in the Italian legal system which cannot disregards the preliminary issue, not yet petered out, about the juridical status referred to the unborn child. 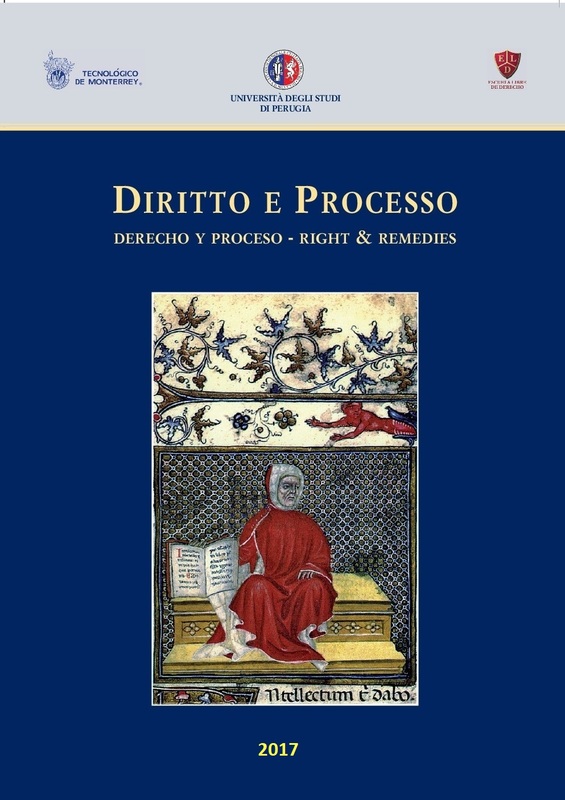 A significant moment in this debate is represented by the proliferation of new hypothesis of non moral damages, during the last forty years, when the “diritto a non nascere se non sano” had tried, hesitantly, to pick up space, although inhibited by the constitutional interpretation of the principles, among which the “right to life” was declined just in its positive perspective. Although the paper will briefly touch upon other aspects of vulnerability, its focus will be on vulnerability in the context of persons with disabilities, which derives from their cognitive, intellectual physical impairments. The main questions the paper seeks to answer are whether persons with disabilities, as vulnerable persons, have been redefined or changed by virtue of their activities or statuses through the measures introduced in EU law, and whetherand how the traditional understanding of the term ‘vulnerable person’ in the context of the protection of persons with disabilities has been modified during the process of EU integration. STATUS DI PAZIENTE E DISCIPLINA DEL FINE VITA. The essay analyses the last Italian Act n. 219/2017 on End of Life, which will enter into force on 1 February 2018. Italy was one among a few countries which have not regulated this matter yet. The new discipline implements the case – law guidelines on informed consent and on “Advanced Healthcare Directives” (DNR), but it gives no solution to some matters related to the respect of minors’ will and to relationship with other legal instruments. Italian law affirms the fundamental principle for which any medical treatment presupposes the free and informed consent of the patient and governs the advance healthcare directives, in accordance with the principle established by art. 32, par. 2 of the Italian Constitution and with supranational sources of law. On the other hand, it is criticizable not to have recognized the capacity for self-determination to the minor capable of discernment, which belongs to him according to the articles 2 Constitution, 12 Conv. of New York on the Rights of the Child, 6 Conv. Of Oviedo on Biomedicine, 24, 1st par. C.d.f.U.E., 23, Reg. UE n. 2201/2003 The Hague. EL ESTATUS DE INVESTIGADOR EN LA UNION EUROPEA. We can affirm that, since its creation, the European Union has always been at the forefront of innovation. Accordingly, in 2000 the European Research Area (ERA) was created, which can be defined as a knowledge space where both national and European research integrates based on the circulation, exchange and financing of research projects. The paper has to identify researchers within society; subjects can be both public and private. In addition, they can be individual people or foundations, associations or entities. It is important to note that all subjects, regardless of the research project or its level (national or European), must respect the provisions set forth in the European Charter for Researchers and in the Code of Conduct. LA INFLUENCIA DEL DERECHO EUROPEO EN LA LIBRE PRESTACIÓN DE LOS SERVICIOS PROFESIONALES DE ABOGADO. The paper analyses the status of lawyers as providers of professional legal services, and examines the influence of EU law when the services are provided in a Member State other than the one in which the individual’s professional qualification has been obtained. ADEGUAMENTO DEL CONTRATTO E STATUS DI CONTRAENTE DEBOLE. The essay analyses the issue of contract retention in the light of contingencies disturbing the balance between the interests objectified in the stipulation. In particular, it will be examined the institutions of ius variandi and “contract renegotiation”, instruments capable of safeguarding a contract become no longer efficient. SMART CONTRACTS: CARATTERISTICHE, VANTAGGI E PROBLEMATICHE. The essay – starting from the basic definition of cryptocurrency and from the history of the software called Bitcoin, seen as the first worldwide payment system that works without a Central Bank – analyses the blockchain technology, the current use of this peer-to-peer system, his positives and downsides and describes a probable future use of it: the smart contracts, which could have a major impact on the world of traditional contracts and the world of trade in general. Antonio Palazzo e il positivismo degli interessi nel XXI Secolo. Andrea Sassi, Francesco Scaglione, Stefania Stefanelli. Corte costituzionale, 18 dicembre 2017, n. 272 – Pres. Grossi – Est. Amato – A.L. C. (Avv. Zanasi) – Avv. Cesaro n.q. di Curatore speciale di L.F. Z. – Pres. Cons. Ministri (Avv. Stato, Aiello). Filiazione – Filiazione non matrimoniale – Riconoscimento – Impugnazione per difetto di veridicità – Ritenuta esistenza del favor veritatis come valore di rilevanza assoluta – Esclusione – Denunciata omessa necessità di valutazione del concreto interesse del minore non coincidente con il favor veritatis – Immanenza del principio nel sistema – Non fondatezza della questione. Famiglia come istituzione e posizione dei figli nel diritto italiano dopola recente riforma. Copyrights 2017 - All Rights reserved!